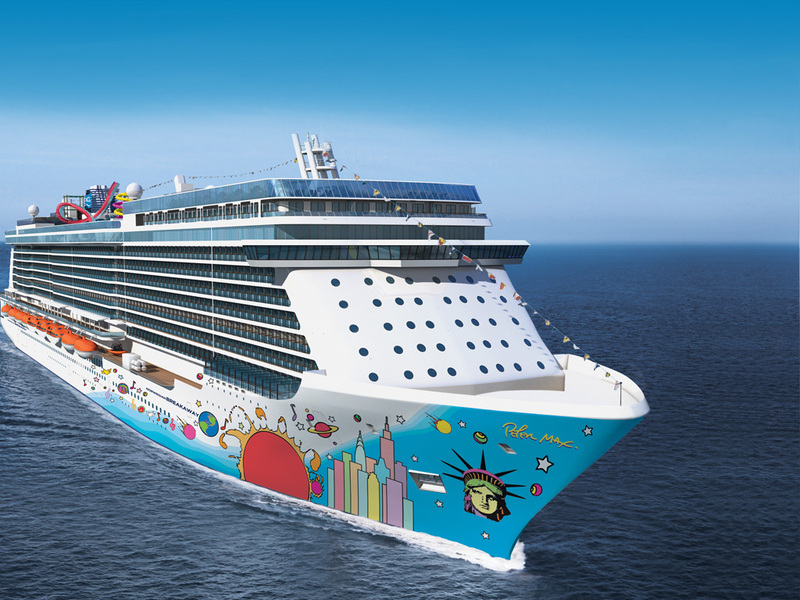 Norwegian Cruise Line (NCL)’s newest ship, the Norwegian Breakaway will be designed by pop artist Peter Max. The massive exterior hull will showcase Max’s design at roughly 40,000 square feet. The Norwegian Breakaway is scheduled to launch in April of 2013. Click here to learn more about the ship via NCL.